Keep an eye on what matters most anytime, anywhere! Protect your home from anywhere, monitor elderly people's health and safety, provide an extra pair of eyes on your pets,... 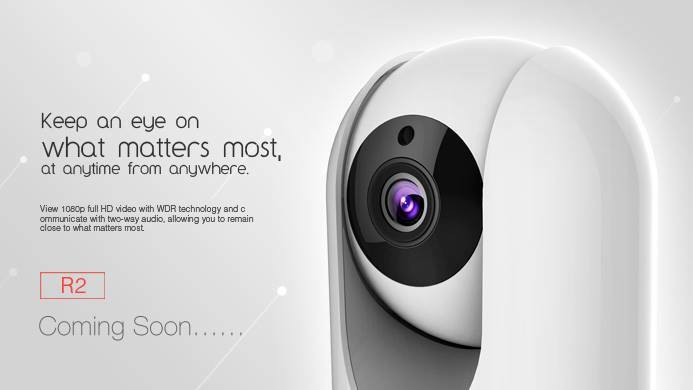 These are just a few features the all new Foscam R2 Wireless IP Camera provides. The Foscam R2 is a Full HD 1080P Pan/Tilt Camera and includes the latest Ambarella chipset offering a better image quality at LBR (Low Bit Rate). No more worries when you leave your home, because the Foscam R2 send real-time alerts to your smart phone when motion in your house is detected. The WDR 2.0 Technology of the Foscam R2 automatically corrects lighting and provides a more balanced image. That way you do not have to worry about dark faces under strong or heavy light ensuring you of the best possible image quality. The built-in High-end Mic and Chip makes superior two-way audio of high quality possible. You can hear and be heard clearly even with much background noise.